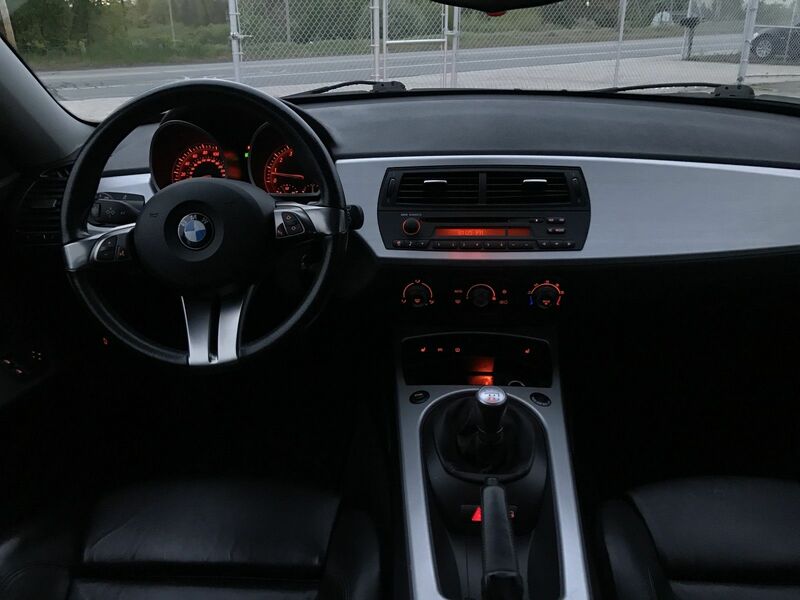 If you are in the market for a mid oughts (that just looks weird on paper..errr...pixels) German sports coupe, you could buy a uber high mileage 996/997 or you could opt for the logical choice and get a BMW Z4. The only question is: do you tell people it is a Zee Four or a Zed Four? 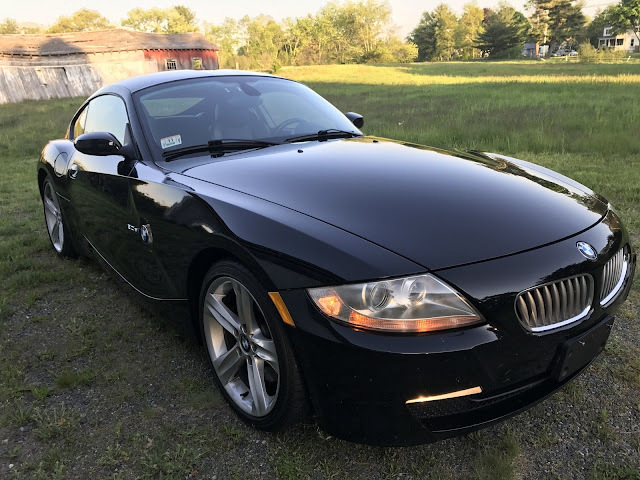 Find this 2006 BMW Z4 Coupe 3.0si here on eBay offered for $15,999 buy-it-now located in Attleboro, MA. 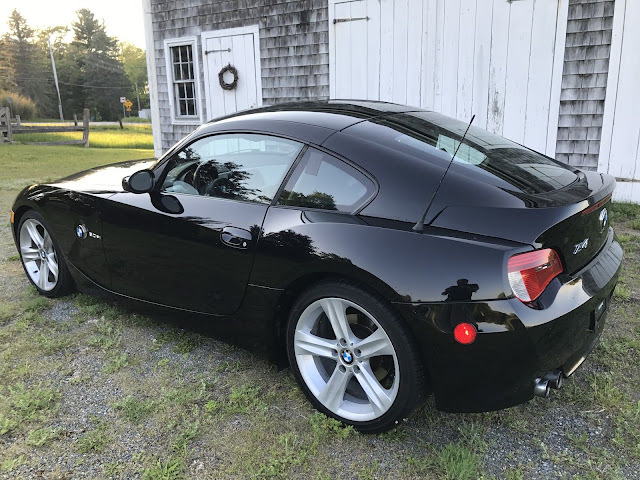 You've got to step out a bit into the wild side with this next statement...but here it goes: The 3.0Si is the E85/86 Z4 to get, not the Z4 M Coupe with S54 power. Whut? It is because the 3.0 liter N52B30 uses a novel magnesium crankcase shell with an aluminum alloy inner block to take the cylinder heat/pressure -- and it is probably the lightest DOHC inline-6 you will find with variable valve lift, electric water pump and all that other nonsense that litters modern day engine bays. The 255 horsepower spec won't wow the socks off of modern muscle car enthusiasts, but it provides plenty of grunt and you can mash the throttle on city streets without having the neighbors call the cops (try that in the Z4 M Coupe!). The BMW interior from this era is a mixed bag -- and they do have their fair share of lovers and haters -- but the amber illumination and 3 knob setup reminds me a simpler times...and there is nothing wrong with that. Never really looked at one of these as a coupe. From the side it resembles the dreaded Chrysler Crossfire. I think these are one of the better looking BMWs from the past 40 years. Aside from the Z8, there isn't much competition IMHO. I agree with Vince. I firmly believe that these are one of those cars that look far better in the flesh than in pictures. Wow-e Vince.....I might have concurred if you had said past 15-20 years, but 40? You jumped right over the M1, e24 6 series, and e31 8 series to make that bold declaration. And those are the easy choices, I personally think all the Claus Luthe designs are beautiful.